If you are looking to replace the engine for your Mitsubishi L200 Diesel then there are numerous options, but buying a low mileage used Mitsubishi L200 Diesel engine works out to be the cheapest. Used engines for sale at Garage 777 are taken from low mileage vehicles and then tested comprehensively in our state of the art garage for any problems. Used or second hand engines are those engines which have been taken out from insurance write offs or damaged vehicles and have been previously used. Our staff who source the second hand engines are well experienced and make sure that the engines are in best condition and have low mileage on them. After sourcing, each used Mitsubishi L200 Diesel engine is tested against very high standards and only those units are offered for sale that meet a certain criteria. All of these procedures help us to give you the most cost effective way of putting your vehicle back on road. 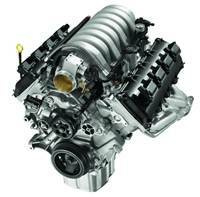 Garage 777 promises to offer you the highest quality used Mitsubishi L200 Diesel engine at the cheapest online prices. We are confident that no other supplier can offer you the same quality second hand engine at a lower price than us. We have our own workshop where our highly trained experts can do the fitting or you can choose to get the required unit delivered to anywhere in the UK. Simply enter your reg details to get a buy a second hand Mitsubishi L200 Diesel engine and to get back on the road.